This consent is being sought by Onni Marketing Inc. on behalf Onni TFN Development No. 1 Limited Partnership, a member of the Onni Group. If you do not wish to receive future correspondence from Onni Marketing Inc. on behalf of the Onni Group, you can unsubscribe at any time by clicking on the unsubscribe link in future correspondence or by contacting Biljana Sitnicic (Sales Coordinator) at bsitnicic@onni.com, 200 - 1010 Seymour Street, Vancouver, British Columbia, V6B 3M6. 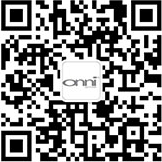 For more information about the Onni Group or its members, please visit www.onni.com.